It is time for everyone to buy their gray ribbon for Zombie Awareness. Every year we are asked to support worthy causes and this May is the time to recognise those who have been bitten or those who have been chased when their chainsaw ran out of fuel. 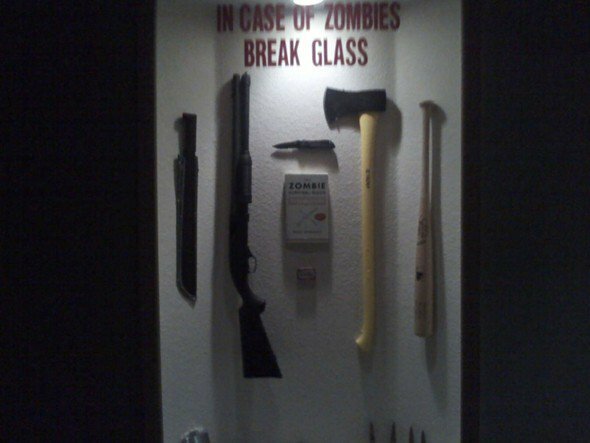 The awareness campaign also funds vigilance towards the impending doom of the Zombie Pandemic. Remember to keep your shotgun at hand and chainsaw sharp and fuelled this May! Thank you for bringing this important occasion to my attention! 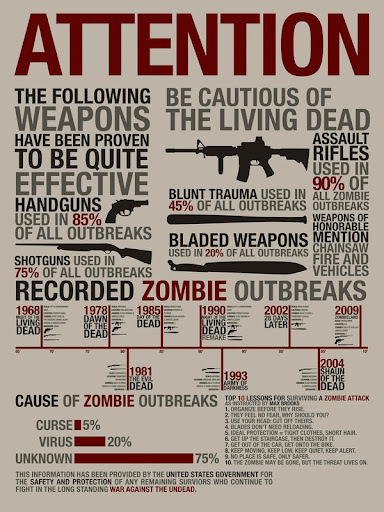 https://lh6.googleusercontent.com/_JOiRaidGOxg/TdHJQQi7ZmI/AAAAAAAAAKU/l5UWkWuh-tU/s512/critical.jpgMy weapon of choice in the event of the zombie apocalypse. Now that one looks nasty. Definitely going in the emergency kit.